Aside from a wide range of unique iPod accessories, speakers, and apparel, iFrogz also has a large selection of headphones. Each of these headphones are unique and focus on different features and styles. For this review, I took a look at the EarPollution CS40, a member of the iFrogz Comfort Series. 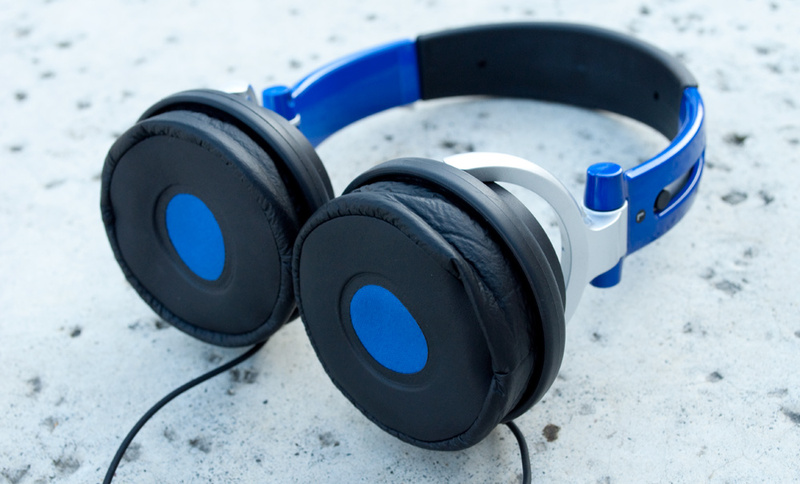 Unlike other EarPollution headphones, this series comes in one general style with different color schemes available. Although a bit cheaper than the other models, these headphones focus less on style and more on simplicity. The question is, can the CS40’s come through on their promise as the most comfortable headphones out there? Usually it’s hard to give a concrete rating to Style since different people can appreciate different looks. However, with the CS40’s simplistic style, you can definitely find your pick and have the style grow on you. There are five color schemes to chose from and each come with the EarPollution logo on each earpiece. 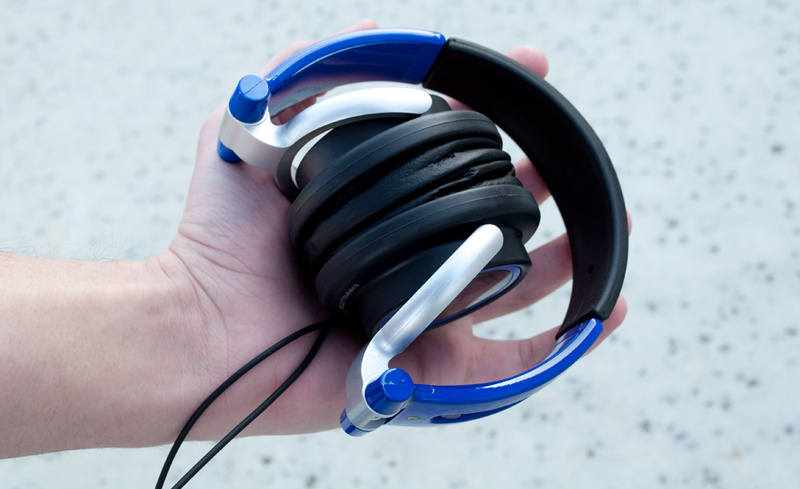 iFrogz has more stylish headphones available such as the DJ Style which I recently reviewed. iFrogz allows customizing your headphones with varying graphics, color schemes, material, and even fur. Although some of these other headphones were much bulkier, they did leave the CS40’s feeling naked and bare. Even though it would have been nice to at least have more color schemes available, the minimalistic approach of the series has less focus on presentation and more on functionality. This was one of the most impressive aspects of the CS40 headphones. Unlike the DJ Style, these were more minimalistic in shape and size. The retractable headband is pretty thin compared to most headphones. The largest parts of the device are the earpieces. You won’t feel overwhelmed wearing them or when going out. In fact, at times you can even forget you’re wearing these. The EarPollution CS40 are also incredibly portable. Packing them with luggage is a breeze since the earpieces fold into the headband. When purchasing headphones over earphones, the additional bulk is expected. Plus they will be less subtle and more difficult to transport. However, with the CS40’s, users will be pleasantly surprised in its compactness and minimalistic build. The cables from both earpieces aren’t all that thick. Having a durable cord can definitely help the longevity of the device since the CS40’s are meant to be carried around. In general the Body and Size work together in making this product compact and sleek, but when it comes down to it the question is can this small package prove to be comfortable? Spoiler Alert: CS40’s are extremely comfortable. Yeah I know… like it hasn’t been emphasized enough. But hey, iFrogz knows what they are doing when they repeat it over and over in the campaigns. Honestly it’s hard to imagine any headphones with “pillows” attached to them being uncomfortable. That’s more or less was these are. It’s quite an experience to use these headphones for the first time with the rubber cups and foam-like material being a cushion between your ears and your music. They work well and are big enough to cover your whole ear comfortably, rather than being too small or too big and feeling awkward. There is unfortunately one flaw in this design. The leather-like encasing around the cushion easily begins to get warm. Sure it’s nice in the winter because it acts like earmuffs, but in warmer weather, these could get uncomfortable quick. So it’s clear at this point that these headphones are compact, minimalistic, and comfortable, but are they good headphones? Without good sound quality, the headphones can look and feel amazing but that’s as far as they’ll go. To put it bluntly; these headphones feel like you are wearing a pillow on each ear. These may feel comfy, however these headphones also sound like you are wearing a pillow on each ear. Seriously, it sounds like you have a speaker on the other side of a pillow. It simply feels like it’s behind a veil. Plus, the delivered audio gets jumbled due to the padding. The quality is grainy and direct, reminding the user that they listening from a direct source, rather than experiencing the music as if it surrounds you– like quality headphones should. While the headphones try to emulate a strong bass, the same effort isn’t put into producing highs. This results in treble becoming indistinguishable from middles. The fact that the sound is louder overall makes it hard at times to distinguish one tone over the other. Once again, the obstructing padding makes everything more complicated. It would have been great if more effort could have been put into the sound quality and not leave them sounding like a set of free, airplane headphones. It left me wondering, why not spend $10-15 more and purchase better ones? 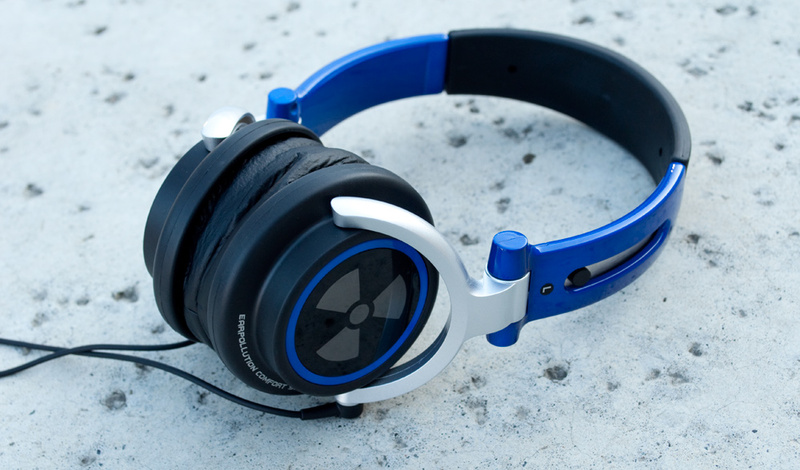 Overall, the iFrogz CS40 headphones are good for casual users. They prove to be comfortable and compact, making them convenient to carry around. It’s guaranteed everyone can appreciate its smart, simple style. It still keeps a unique look with a single color scheme complimented by the EarPollution logo. When it comes down to it though, the sound quality won’t impress. There was just way too much bass and not enough of the treble to match. It is true that these are cheaper headphones, but weighing the options was tough since you could even buy a better quality EarPollution set at about the same price. If the sound quality was better, these would have been “go out and buy now” headphones, but unfortunately they rely heavily on their compactness and comfort compared to their competition. If you want a pair of headphones for casual, expendable use, then these are some of the most comfortable and affordable ones out there.